The Cirque du Fer à Cheval is a huge limestone amphitheatre 4 to 5 km in width, with cliffs of 500 to 700 m in height. 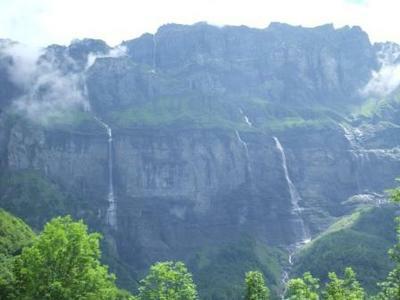 It is the largest alpine mountain cirque and twin of the Pyrenean Gavarnie. 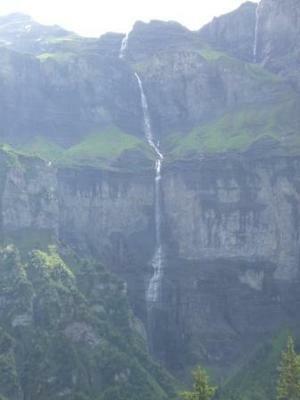 During the spring more than thirty waterfalls can be seen eleven of which flow all year. Some of the most notable falls are the Cascade de la Lyre whose tail fans out over the rocks giving it its name. 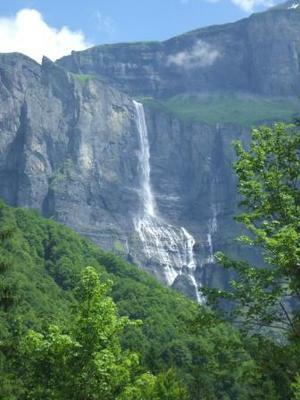 The Cascade de la Genette, Cascade de St Jacques and the Cascade de Trelachaumaz who fall in several drops before plunging over the cliffs. I can find no information on the height of these falls but they are very impressive. This stunning place, little known outside of France is easily accessed by car from the village of Sixt Fer à Cheval. 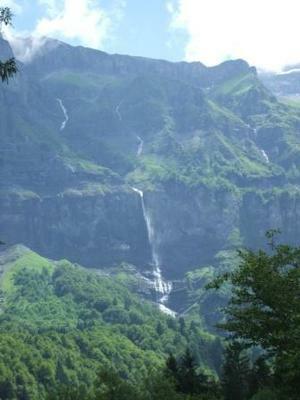 The road ends at a car park from where there are many hikes of varying lengths into the Réserve Naturelle de Sixt.